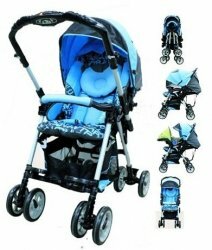 I have a brand new unused capella S-228 stroller for sale. Retail Price is $299 for S-228. Its for my upcoming baby but parents bought another. .
Bought from TANGS orchard and never being used before as its in the box. Please SMS 90996905 for fast viewing @ woodlands ! !